High performance 20kVA isolation transformer is designed to step down/up the 3 phase voltage 380V to 190V. Primary and secondary windings are separated by aluminium/copper shield, and widely used in various power supply sites with frequency 50Hz/60Hz. 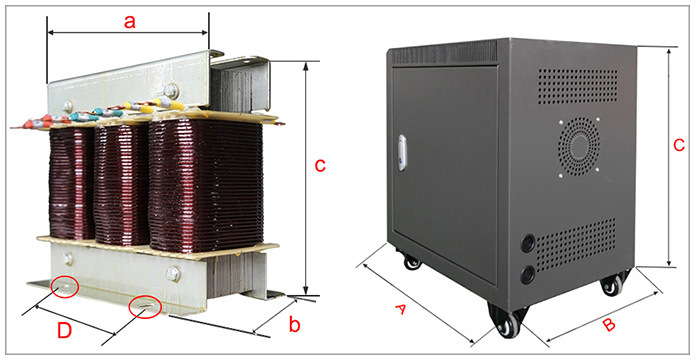 Affordable single phase 15 kVA isolation transformer adopts high quality material and advanced technology, it has advantages of damp- proof and convenient maintenance, mainly used in power supply occasions of AC 50~60Hz, step down or step up voltage between 110V and 208V. 3 phase high quality isolation transformer with 15 kVA power rating, better dielectric strength and insulation resistance. Step up or step down transformer to change the voltage between 415V and 208V, suitable for both indoor and outdoor applications. 3 phase 380V to 220V isolation transformer is 50/60 Hz rated, available with aluminium/copper wire winding material, the effective performance and high quality features make it ideal for use in the electrical and the engineering industries. High efficiency 30kVA solation transformer is dry type air self cooling one, which is available in the circuit of AC 50Hz/60Hz and convert 3 phase voltage 480V to 415V, step up 415V to 480V is optional, low cost and manufactured direct sale. 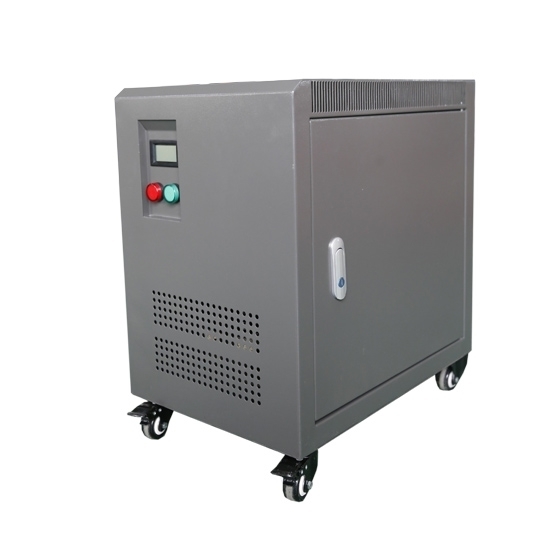 40 kVA isolation transformer is designed to step down 3 phase voltage 480V to 240V or step up 240V to 480V, aluminium/copper winding material, and widely used in various power supply sites with frequency 50Hz or 60Hz. High quality and safety isolating transformers, 3 phase, 20kVA power rating, 380V AC input voltage to 190V AC output voltage, is a is a non-ventilated isolation transformer rated for hazardous locations as well as harsh industrial environments. Input/output voltage, power rating and whether with shell of all transformers, can be customized according to clients' requirements. When the 3 phase isolation transformer output power is equal to the input power, the efficiency reaches 100%, the transformer will not generate any loss. But in fact this kind of transformer does not exist. Transformer always generates loss during electricity transmission, this kind of loss mainly includes copper loss and iron loss. Copper loss refers to the loss caused by step up & step down transformer coil resistance. When the current goes through the coil resistance and gets heated, part of the electrical energy is consumed and becomes heat loss. Since the coil is generally twined with insulated copper wire, it is called copper loss. Iron loss of the transformer includes two aspects. The first one is the hysteresis loss, when the alternating current goes through the transformer, the direction and magnitude of the magnetic lines through the transformer silicon steel sheet changes, causing friction among the molecules within the silicon steel sheet and heat is released, this process consumes part of the electricity. The other is eddy current loss during the working of isolation transformer. When the magnetic line of force goes through iron core, current will be induced on the plane vertical to the magnetic line of force, since the current forms a closed loop and becomes ring current which shapes an eddy, it is called eddy current. The existence of eddy current makes the core heat and consumes energy, this loss is called eddy current loss. Could this 20 kVA isolation transformer eliminate the disturbance of harmonics? I have added reactors to the input and output terminals of my equipment, and have not eliminated the disturbance of harmonics. Could this 20 kVA isolation transformer help me solve the problem? Dear friend, ATO isolation transformers are not only step up & step down transformers, but also belongs to the safe power source, which can prevent the transmission of some harmonics and protect the device. The isolation transformer performs just as I hoped it would. I use it in the US to run 220V European appliances on US 120V current. Completely soundless and odorless. Great step up and step down isolation transformer. I am quite pleased with this product. Although it is a little heavy but then fit for purpose. I am satifying with the service of ATO. I use these 20 kVA isolation transformers for the CNC lathes in our factory. All the CNC lathes work well with the stable three phases voltage from isolation transformers. Good quality products!